"Il panaté", this is how people in Piedmont call their village baker, and Mario Fongo still likes to identify his firm with this term, since it is a place where delicious bread specialities are baked every day, to uphold the principles of genuine fare and tradition which have inspired his activity from the outset. 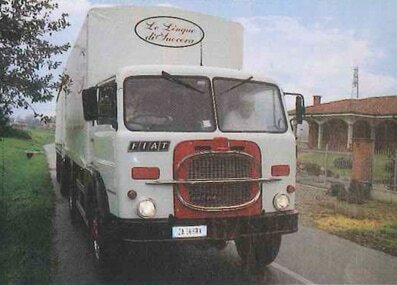 The firm's history is intertwined with that of the little town of Rocchetta Tanaro, in the heart of the province of Asti, where the first village bakery was opened in 1945: it is here that the "long love story" first began and which still sees the Fongo family engaged in the loftiest tradition of Italian bread making. A story of passion, dedication and sacrifice that has brought a great deal of satisfaction, as in 1993 when, immersed in the delicious smells of his bakery, Mario Fongo perfected his recipe for Mother-in-Law's tongues, the delicious crusty flatbread which immediately seduced his regular customers and, since then, have represented the Fongo firm's products worldwide. His unmistakable "tongues" are flanked by other specialities such as stirati stretched bread-sticks, rolled out individually by hand, and "rubatà", twisted bread-sticks with their pleasingly compact consistency, produced in differently flavoured versions to recall the aromas of Mediterranean cuisine. A great passion and the use of excellent ingredients: these are the simple secrets behind the deliciousness of Fongo products, baked with the care that only a great passion can guarantee. 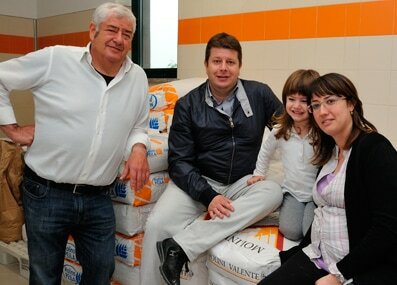 Moved by the same passion that led Mario Fongo and his wife Vittoria to start up their business, the firm is now run by Giovanni and his wife Marta, not to mention their daughters, Sofia and Giulia, who have already become the charming testimonials of the family's products. When Giovanni came on board in 2003, he introduced a series of novelties. The Mother-in-Law's tongues have now become a brand that is appreciated worldwide and, in the wake of this success, Mario and Giovanni are constantly at work to continue to satisfy their customers' requests, by introducing new recipes to their product catalogue. 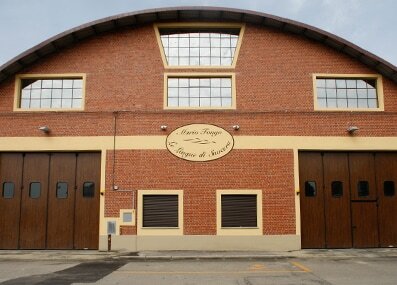 The firm still has its premises in Rocchetta Tanaro but the production area has been extended to meet growing market demand. As in the past, baking takes place daily to guarantee products that are always fresh and produced after home-made methods: from naturally leavened dough to "tongues", bread sticks and rubatà that are rolled out by hand. The accurate choice of top quality ingredients of Italian origin only, coming from controlled supply chains, is the starting point for achieving quality products. 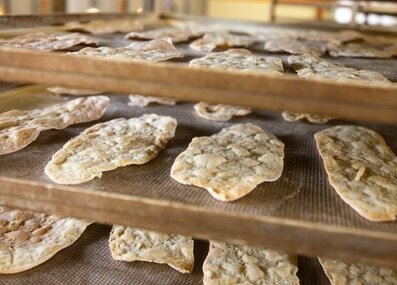 The list of ingredients is short: flour, water, oil (or lard), salt and yeast. No preservatives or other additives. 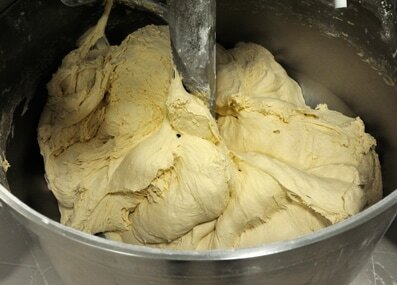 ​The use of strong flour blends ensures that the dough rises perfectly without losing its elasticity. The blending of different flours, selected in collaboration with trusted millers, gives Fongo products a unique flavour according to the blend, whether it is flour type 0, type 00, wholewheat flour or corn flour. A final word on oil: Mario Fongo uses only organic extra virgin olive oil that is entirely produced in Italy and is not filtered.